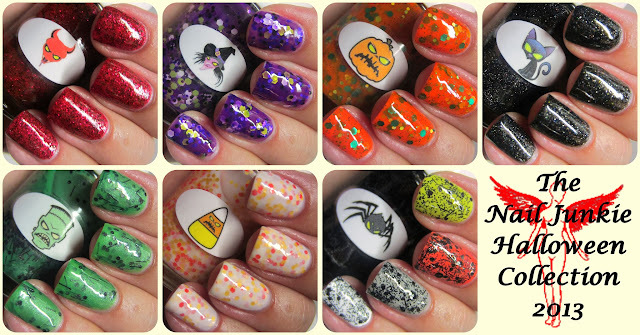 THE NAIL JUNKIE HALLOWEEN COLLECTION GIVEAWAY!!! OPEN INTERNATIONALLY! It's almost that time again folks, FALL! And that means HALLOWEEN IS APPROACHING! I am pleased to announce your chance to win my whole Halloween Collection. It is comprised of 7 spooky polishes that capture the essence of the season. This demonic polish is bloody and evil. Devil is a dark red jelly polish loaded with micro red and micro black glitters. This polish is wickedly gorgeous and came from the witch's cauldron. Witch is a purple jelly polish loaded with green, black, white and purple hex glitters. This polish was picked straight from the pumpkin vine. Pumpkin is an orange jelly polish with several sizes of green glitters. This polish is all the black cat without the bad luck. Black Cat is a black jelly polish full of holographic shimmer. This polish is inspired by a misunderstood green monster: Full of the screws and bolts that held him together. Frankenstein is a green jelly polish loaded with black bar and black hex glitters. This polish makes your fingers look sweet enough to eat. Candy Corn is a white jelly polish with orange and yellow hex glitters. This polish is chock full of spider guts!!!! One coat over green, orange, grey and white. With topcoat. Spider is a glitter topper with various sizes and shapes of black glitters. My polishes are $10 each and include A COMPLIMENTARY GIFT! As always I do custom orders. You pick the label and you design the polish. 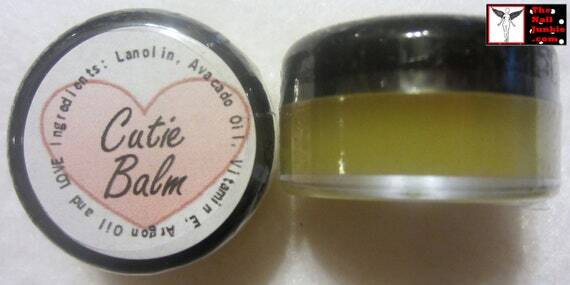 Or simply rename/relabel an existing polish to create a one of a kind personalized polish. This giveaway is open internationally and ends 9/30/14. Swatch of Color Club "Beyond"
What do you think? Which set of nails is your fave?